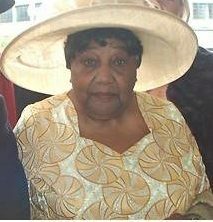 Evangelist Eileen Hendricks, wife of Pastor Erlo Hendricks (deceased), former president of the British Conference, passed away peacefully in her sleep at home in the early hours of Sunday, August 20, 2017. Sister Hendricks gave her life to the Lord as a young woman back in Jamaica, and from that day, never looked back and never grew weary in the work of the kingdom. She was a feisty, determined warrior, seeking to save souls wherever she went. From one corner of Jamaica to the other she would preach the Word, telling of Jesus’ love, mercy, and awesome power to save. On leaving Jamaica, Sister Hendricks worked tirelessly across the UK and planted many of the churches we have today. She was also a foundation stone for the work in Canada. She initiated the Faithful Youth Challengers in the UK and started the Merrybell Gospel Choir and a band — The Challengers. Many of the songs they sang were originals she wrote. Through her influence and help, young people were afforded many opportunities and experiences to travel the UK, Europe, and the US. Truly this woman gave of her very best to the Master, and He blessed her with favor and long life. Sister Hendricks will be missed. She has gone to sleep in the Lord, but we feel blessed to have known her. “Preach the word; be instant in season, out of season. . . .” Evangelist Hendricks took this command to heart and lived it every day of her life. Precious in the sight of the Lord is the death of His faithful servant (Psalm 116:15).